If I know anyone who’s a picky eater, I’d definitely have to say it’s my son. Typically, if something is good for Tommy, he doesn’t want to eat it. Luckily, I’ve stumbled upon ways to get him more excited about and involved in mealtimes. If your kids are picky eaters like mine, try some of these ideas to get them to enjoy eating healthy. One of the best ways to get a kid to eat something is to let them help you prepare it. Even if they do something as simple as adding a sauce or cracking an egg, that minimal involvement in the process of making a meal is often enough to get them excited about eating it. You can also make fruits and veggies, foods that kids are notorious for rejecting, more appealing by adding a slight amount of sugar to them. They say a spoonful of sugar helps the medicine go down, and that holds for veggies as well. Using dipping sauces is also incredibly helpful. Try using salsas or hummus to expose your kids to different kinds of foods and the wonderful world of dips and condiments. As a kid, I absolutely hated carrots, but when my mom offered them up with a little bit of ranch dip, I couldn’t turn them away. In the same vein as adding condiments to foods they don’t like, you can also add these foods into those that they do. For example, adding onions to a meatloaf or including vegetables in a pasta can get your kids to eat their veggies without even realizing what they’ve done. 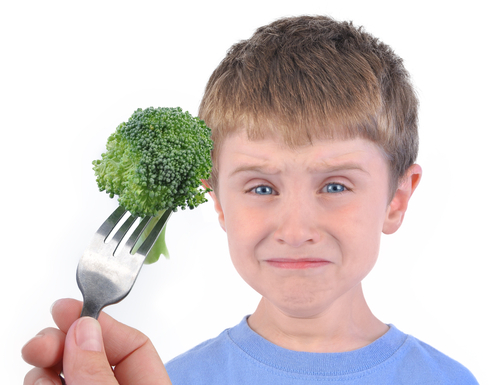 Kids are often afraid of new foods, so introduce them slowly. Talk with your kids to find out what they like and why. This can help you decide which foods to try to add to their diet, which can widen their acceptance of other foods, even those they’ve previously rejected. Remember that some people simply don’t like certain foods, so don’t take it as a defeat when some of these ideas fail. Just know that your child’s tastes may one day change, and they may one day grow to love those healthy foods that they once resisted. The decision regarding custody of children is perhaps the hardest one to make when the parents are not willing or unable to come to an agreement. In most states, the judge must decide where the best interest of the child or children lie, and that involves a myriad of factors especially since the mother is no longer given automatic custody for young children. The court infinitely prefers that the parents make their own arrangements for custody and visitations. When this does not happen, the judge will then appoint a mediator who will attempt to get the parents together long enough to come to an agreement. Failing that, the parents will be subjected to a Judicial Custody Conference where the judge will discuss the case again. If no resolution is reached at this point, the judge will order an Assessment, and based on the results of this in-depth process, the judge will decide on custody and visitation issues. There are two types of custody: legal and physical. Legal custody is the right to make decisions concerning a child’s well being, such as education and health matters. Physical custody is the actual residence of the child with one parent. There are four combinations of custody: sole legal custody, joint legal custody, sole physical custody and joint legal custody. One parent can have both sole legal and physical custody; alternatively, one parent can have sole legal custody while the other parent has sole physical custody, and so on. In most cases, one parent has sole physical custody but both parents share legal custody. Too often, the conflict in child custody is not so much consideration for what is in the best interests of the child but the desire of parents to exercise control, making it necessary for legal professionals to help a couple reach an agreement on custody. Most states do not have their own rules and regulations governing overtime pay. Instead, the regulations imposed by the Fair Labor Standards Act (FLSA) apply. What does this mean for overtime claims in individual states? This fact actually makes it less complicated for overtime claims to be made. Under the FLSA, employees are divided into non-exempt and exempt employees. Non-exempt employees are paid 1.5 times their hourly wage as overtime for all hours they work over and above 40 hours a week. The FLSA supersedes any company rule or policy which prohibits the rendering of overtime, or requires prior approval for overtime work. If a non-exempt employee does work beyond the 40 hours a week, he or she is entitled to overtime pay. It should be noted that the FLSA rules on non-exempt employees apply only to “white-collar” or office-based employees. Other types of employees are governed by different state or federal statutes, whichever applies. There are specific criteria for these FLSA exemptions, but can sometimes vary based on an individual’s position and job description. Fortunately, individuals who have been denied the fair and full compensation they have worked for may be able to take action against their employers to recover unpaid overtime wages. Louisiana meat packing company Manda Fine Meats issued a massive recall of its products yesterday, a first in the company’s 65-year history, after learning that its products may be contaminated with listeria, a bacteria that can have life-threatening effects on humans. The recall affects over 230 tons of meat, including turkey, pastrami, roast beef, ham, and corned beef. These products were distributed across a huge area that includes Texas, Illinois, Kentucky, South Carolina, and Georgia. The company is offering cash refunds to individuals who bought recalled meats and encourages customers to return the meats to the stores where they were purchased. 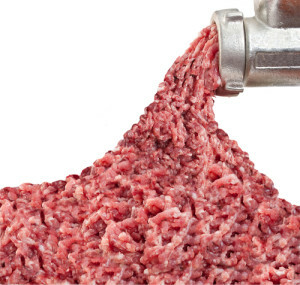 Potentially affected meats will have a sell-by date on the packaging between May 13, 2013 and July 2, 2013. Listeria is a bacteria that can cause headaches, muscle aches, confusion, and loss of balance. Infections are most likely to appear in pregnant women or those whose immune systems are compromised. Remember to keep your eyes open for food recalls, since using contaminated ingredients in your cooking is a recipe for disaster!